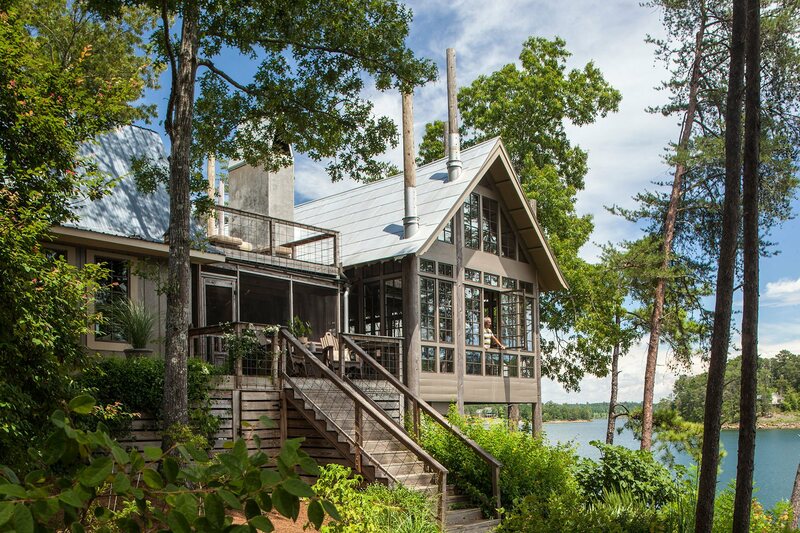 This interior designer’s modern lake house was described once as a “wonderful glassy box on wooden sticks”, hovering like a tree-house. 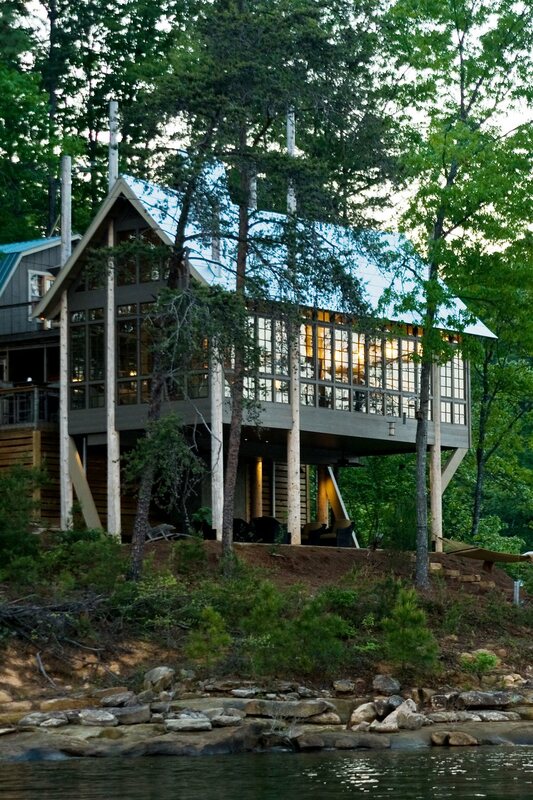 The structure is sympathetically tucked into the slash pines using seven telephone poles, each twenty to forty feet in height. The poles were arranged randomly to reflect the way trees grow along the stony shoreline. The roof is made of galvanized panels, appearing like oversized shingles. 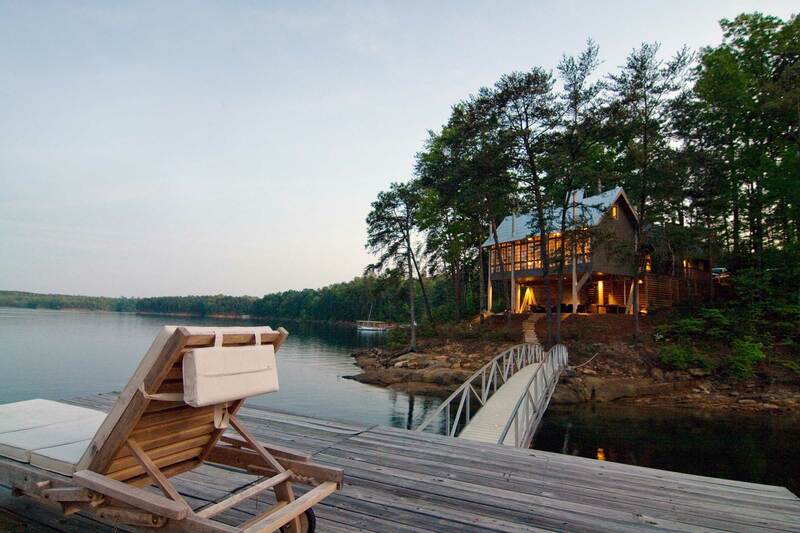 The interior space consists of a wide open living, dining, and kitchen space with stunning views of Smith Lake.